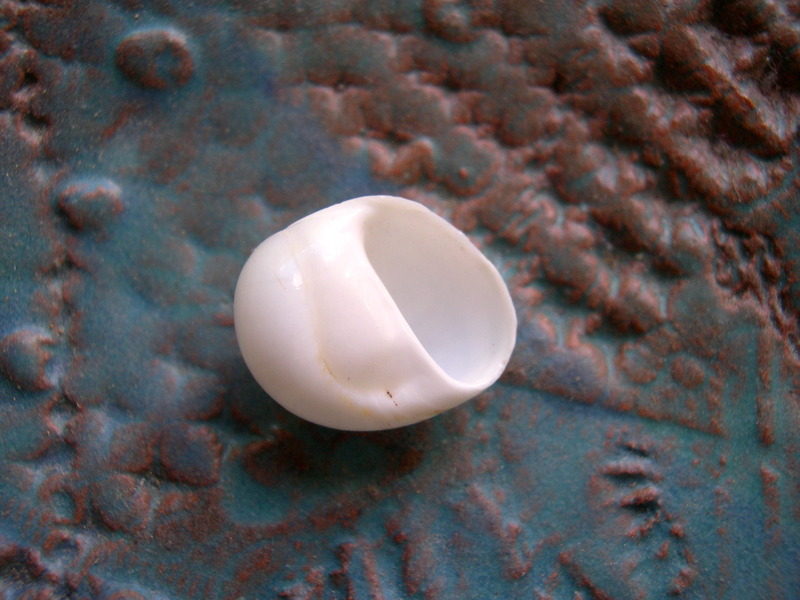 There are many types, shapes and sizes of the moon shell family (Naticidae) but this little snail stands out because of it’s milky white and very glossy appearance. 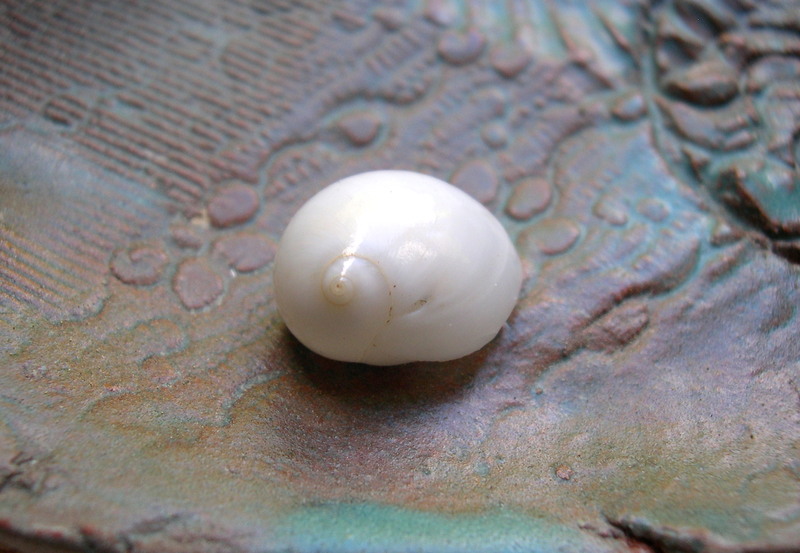 The Milk Moon Snail (Polinices lacteus) is a common find on the beaches from North Carolina to Brazil and will be fairly small. Mine is only 3/4 of an inch (1.9cm) long and less than 1/2 inch (1.3cm) high. They can be as large as 1 1/2 inches (3.8cm) . The Latin “lacteus” means “milk white”. It’s shape is very much like other moon snails and the shark’s eye shell. In New England there is a larger moon shell that can grow up to 5 inches (12.7cm) and feeds on clams. That one is the Common Northern Moon Shell and can be found as far north as New Brunswick and all the way down to North Carolina.